Amid news that Warner Bros. is actively negotiating with Cathy Yan to helm Birds of Prey, the long-rumored, female-fronted spinoff movie rooted in the DC universe, Variety reporter Justin Kroll brings word that Batgirl and Harley Quinn are expected to headline the project as its undisputed leads. The latter character is of huge importance to Warner Bros., given Margot Robbie’s increased role within the DC Extended Universe ever since the release and subsequent failure of Suicide Squad – she’s already nabbed a producer role on Gotham City Sirens, and helped make the case for a female director (see: Cathy Yan) to take point on Birds of Prey. It certainly makes sense, too, as we’ve previously heard that Barbara Gordon/Batgirl is expected to make her DCEU debut in Birds of Prey – think of Black Panther’s small, yet vital role in Captain America: Civil War – before ultimately spreading her wings in a standalone feature, one which currently has Christina Hodson (Bumblebee: The Movie) on script duties in place of Joss Whedon. 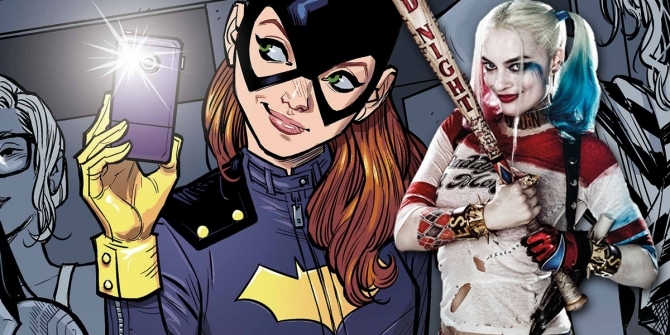 Providing this report holds true, and Batgirl and Harley Quinn are locked in for Birds of Prey, it indicates that Warner Bros. is yet to decide who will join them. Those familiar with the DC source material will know that the original comic featured the likes of Catwoman, Poison Ivy and Black Canary, so there’s really no telling who will make the cut at this early, early stage. If Suicide Squad 2 shoots after Birds of Prey, it means the former has vacated Warner’s 2018 slate entirely, and likely won’t be with us until 2020. Whatever the case, Christina Hodson’s script has clearly impressed the Powers That Be over at Warner Bros., so it’ll be fascinating to watch as this female-fronted project begins to coalesce.